Home News: The Voice Beyond Arlington Sets Its Sights on a Blue Majority in Virginia! As we read the headlines about the inspiring initiatives of Congressional House Democrats – both in oversight and policy – we are reminded of how much elections DO make a difference and how important it is for us in Arlington to support Democratic candidates all across the Commonwealth. 2018’s Blue Wave election was great – and November 5, 2019 will be our next challenge. We have a very serious opportunity to take decisive majorities in both the Virginia House and Senate, begin to play policy offence instead of veto-based defense, create fair and representative districts in 2020, and remove all Republicans from the chain of succession. We’re here to tell you that the Beyond Arlington project of the Arlington Democrats stands poised and ready to play a significant role in making this happen, just as we did in flipping the Virginia Congressional Delegation in 2018. What happens in Richmond affects lives all over Virginia, including here in Arlington. Whether it be women’s issues such as the ERA and reproductive rights, environmental issues (imagine if Virginia had state support for renewable energy! ), social issues such as marriage equality, labor issues, gun control, or transportation, the actions of the Virginia General Assembly have significant, if sometimes hidden, impact on us all. Thank you to all who came out in previous years, we hope to see you again in 2019! If this would be your first time working outside of Arlington – welcome! 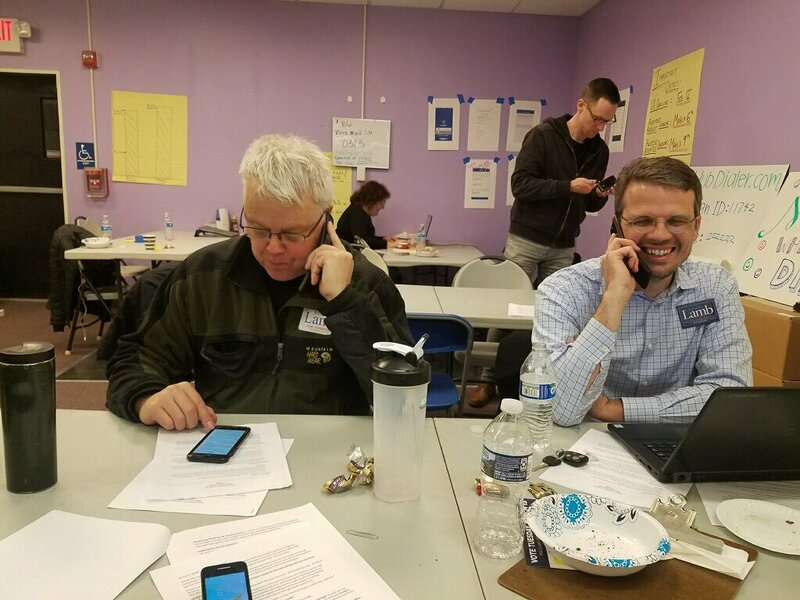 As before, we will campaign for Democratic candidates outside of Arlington through regularly scheduled phone banks, canvassing, textbanking, and voter registration events. We are open to great candidates anywhere in Virginia but will concentrate our efforts in House and Senate seats in NoVa, Richmond and SE Virginia where there are a number of flippable districts, along with districts we need to defend following our 2017 gains. In the weeks and months ahead, we will begin sharing a weekly email with a complete list of upcoming events. We are reaching out to Democratic candidates who do not have a primary opponent following the March 23 filing deadline, and we will do the same with primary winners after June 11. Please sign up, engage with us often on Facebook, and recruit a friend to join you at our upcoming events. The work can be intense but always fun. The campaigns will be incredibly grateful for your efforts and the satisfaction of flipping a seat is immeasurable. Thank you in advance for stepping up and joining this crucial effort.